Whether we’re buying a pre-manufactured computer or assembling out own, we put a ton of time into researching the components that go into our computer. We select fast processors, add huge banks of memory, and combine lightening quick solid state storage with massive hard drives. Unfortunately, we often tend to neglect some of the most important parts – our peripherals. Our keyboards, mice, and monitors are the main interface with which we interact with our computer. If any of these components are sub-par, our entire experience is impacted. A bad mouse can certainly slow you down more than a slow processor, so it’s important to select one that’s high quality. If you haven’t had the opportunity to use a high end mouse, you might not realize how much they can impact your productivity. 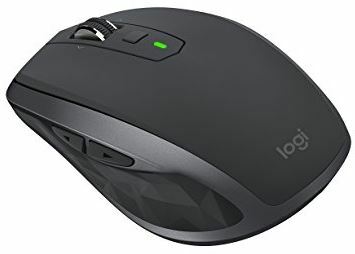 Logitech mice have been the first choice for many years, and their MX Master 2S and MX Anywhere 2S are the latest entrants to a long standing line of high quality mice. In this review, we’ll be going hands on to find out what these mice can do. We’ll to in-depth and explore every feature, then we’ll help you decide if these are a good match for your computing habits. 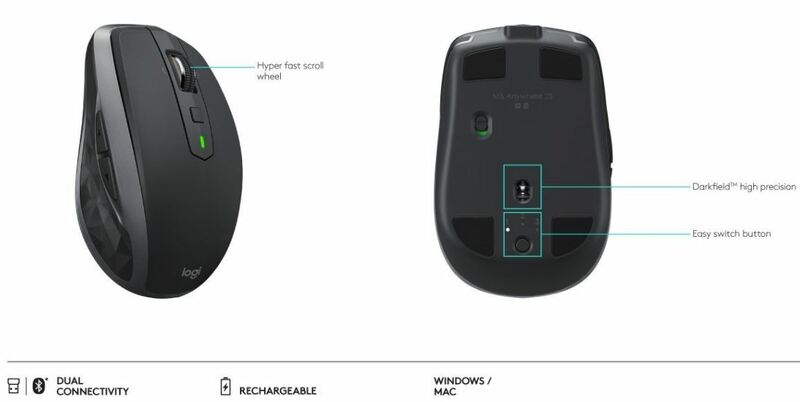 Logitech’s Master series mice are divided into two categories. For the discerning consumer, you’ve got the MX Master 2S. This mouse is similar in design to the standard mode, with a large thumb rest on the right. This rest looks like a simple visual design trick, but it actually doubles as a button. You’ve got a number of additional buttons, wheels, and sensors, going well beyond what your standard two button scroll mouse offers. 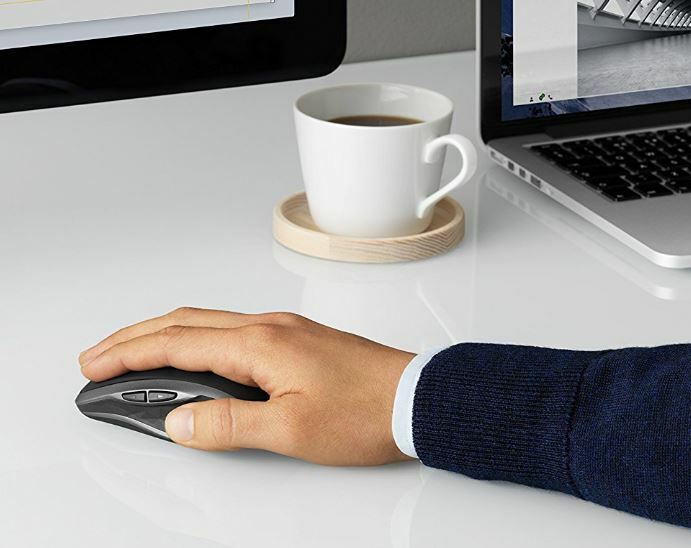 If you want something a little more compact, the easy-to-use MX Anywhere 2S is the mouse for you. It has two additional customizable buttons, and comes in a familiar design that allows you to start clicking and dragging right away. 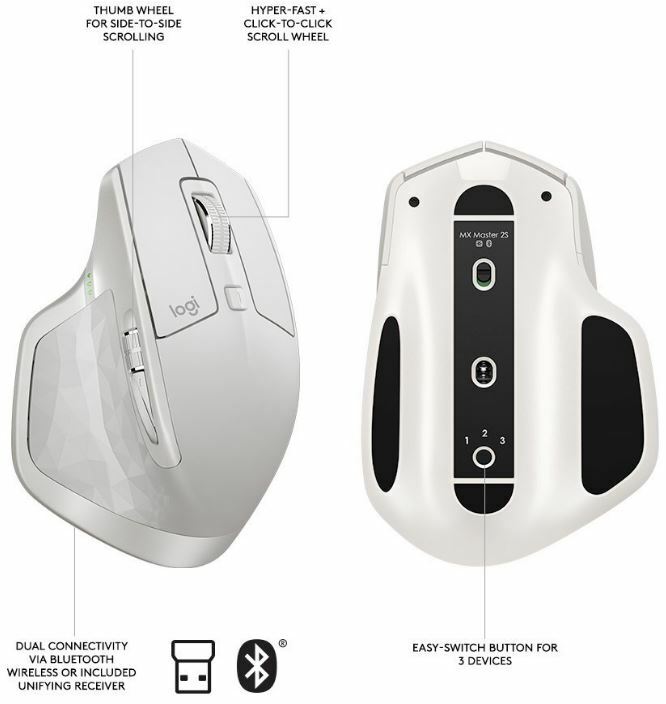 Both mice are designed to seamlessly sync up with three computers, and have a battery life that can last months on just a single charge. If you regularly find yourself switching between your laptop and your desktop, then these are the mice you want. The MX Master 2S is available in white, black, or an eye-catching titanium blue. A Gently rounded edges combine with sharp angles to create an mouse which is simultaneously professional and aggressive. It’s not ‘in your face’ like most gaming mice, but the second you look at it you can tell that it’s one serious piece of hardware. 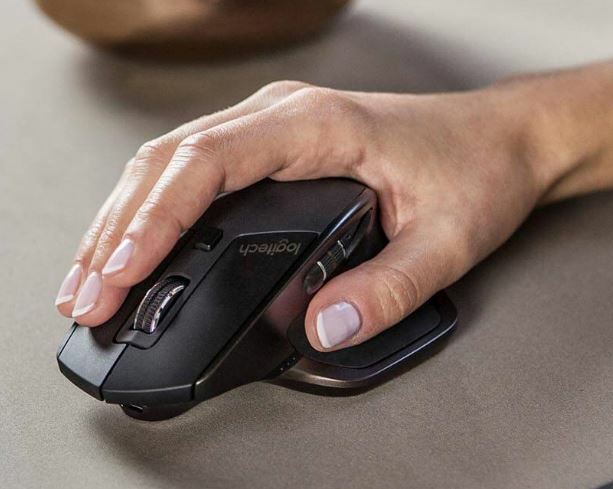 While the body of the mouse is all a single uniform color, Logitech adds a little contrast by etching an angular design into the thumb rest. This allows lights and shadows to help the mouse take on several contrasting tones, which certainly allows it to stand out. The MX Anywhere 2S is available in the same white, black and blue color scheme, but is a little more reserved in design. It’s smooth, rounded, and comfortable to hold in the hand. Despite the additional buttons, it’s still much more compact than competing models, making it highly portable. The hand-sculpted design of the Master 2S is incredibly comfortable in the hand, making it our first choice for users who need to work with their computer for a long period of time. The drawn-out back end runs the entire length of your palm, providing complete support. Meanwhile, the thumb rest allows your thumb to completely relax, while still contributing to the control system. In terms of layout, you’ve got all the basics there. The right and left mouse button function exactly as you’d expect, but that’s where the similarities end. The scroll wheel has two modes. For smooth scrolling, there is no texture. The wheel just spins and spins with a gentle flick. This is great for precisely navigating through a document, or quickly flipping to the bottom. If you push the button below it, it will go into a ridged design. You’ll feel the wheel smoothly transition through the notices, scrolling through your documents on line at a time. You can also push the scroll wheel side to side, which is surprisingly helpful as interfaces are becoming increasingly optimized for touch screens. With only one finger, you can scroll in all directions. By your thumb, you’ve got three different controls available. Towards the top side of the thumbrest, you’ll find another scroll wheel and forward and back buttons. The thumb rest on the bottom also acts as a button, bringing up all of your open windows on screen. The MX Anywhere is a little simpler in design. You’ve got the forward and back buttons, as well as the advanced upper scroll wheel. Because of it’s compact size, it’s not incredibly supportive. However, it’s very lightweight and easy to use, making it more ergonomic than most compact mice. It’s got a notch cut out where you thumb goes, and the contours seem to be perfectly fitted for your hand. We couldn’t ask for a better portable, making it a great choice for consumers on the go. Both of these mice are among the most accurate on the market. They feature a 4000 DPI ‘darkfield’ laser navigation system. This is the perfect balance between accuracy and responsiveness. With a standard optical mouse, a 4000 DPI resolution would mean that your cursor is shooting across the screen with even the slightest motion. 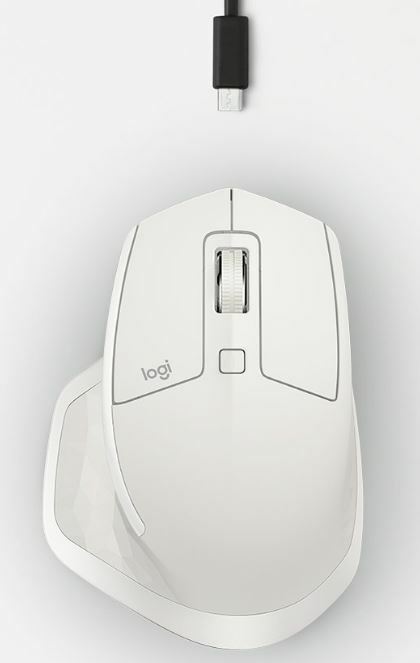 But with this Logitech designed sensor, it responds just like a regular mouse. The main advantage is that this laser can carefully analyze your surface as it travels past. Ever use a wood desk, or even a glass desk only to find that mouse doesn’t work very well? With darkfield, any surface over 4mm works perfectly. You can finally use the desk your love without the use of a mouse pad. One of the most unique features of this mouse is the way that it connects to your computers. You have the option of using a Logitech Unifying receiver. One is included with the mice, but you can connect it to an existing receiver if you have any other unifying devices. Another option is to sync it up with Bluetooth. No matter which option you choose, you’ll be able to pair to three devices at the touch of a button. On the bottom of the mouse is a button, followed by three LEDs. Each of them is labelled 1, 2, or 3. Just pair your laptop to 1, desktop to 2, and mobile device to 3. When you touch the button, you’ll be able to quickly switch between the three devices you’ve paired. Another impressive feature if these mice is the battery life. Both use the same dark-field sensor, and the same low power controller. They provide up to 70 days of use, so you can often go several months in between charges. If you’re doing graphic design, general office work, or any other productivity related tasks, these mice work great. But if you’re gaming, wireless mice aren’t always the best option. Mice have a few milliseconds of lag. If you want to do away with that, you’re best off going with a wired gaming mouse such as the Gamdias Zeus P1. Are these mice worth buying? And if so, which one should you get? Well, that depends. If you’re going to be using your mouse on a permanent desktop setup, of if you’re going to be spending a long amount of time at your desk, the MX Master 2S is the best choice. 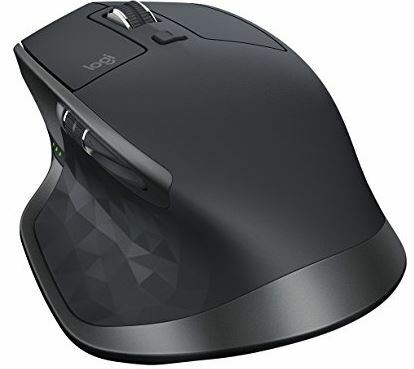 This mouse is much more comfortable to use, and has a number of buttons that are incredibly helpful in complex apps like Photoshop or AutoCAD. It is, however, not quite as portable. So those of you on the go might not want to lug it around. For the mobile work station, you can’t go wrong with the Logitech MX Anywhere 2S. 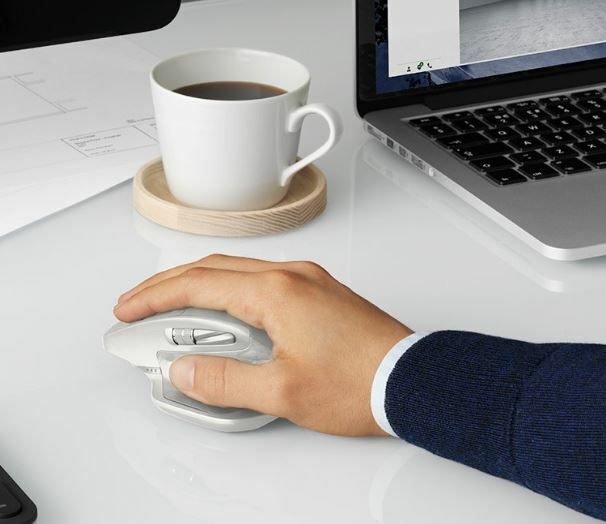 This little mouse has everything you need for basic office tasks and web browsing. From editing documents to filling in spreadsheets, the MX Anywhere is our number one recommendation for a portable mouse. Graphic designer? If precision is the number one reason you’re buying these mice, it’s helpful to have a uniform surface to operate on. A proper mouse pad will allow you to fully realize all the benefits of the 7000 DPI sensor. We recently reviewed the Steelseries QCK RGB mouse pad and found that it’s dual surfaces offered a good balance between smooth movements and precise actions, so we’d highly recommend that you check it out.